Considering a wedding at Jasper United Church? with a seating capacity of 140. ​Normally, some form of Marriage Preparation courses will be required prior to a wedding. This will be arranged with the Minister and in most circumstances, requires attendance at a pre-marriage course (fees are the responsibility of the couple). A wedding performed by a Minister (whether in the church, home or an outdoor setting) is a religious event that is significant to the life of the faith community. It is hoped that the couple would wish to attend worship at our church, at least once in the year before marriage. This will allow you to become acquainted with our faith community and see our building. Service is on Sundays at 10:30 a.m.
that the church must work both to redeem and care for the institution and to support those entering into a covenant relationship with each other. Marriage is not to be idealized as an end in itself. In the United Church of Canada, the final responsibility for the significance of the marriage service and all matters related to the conduct of weddings rest with the Minister and local church. 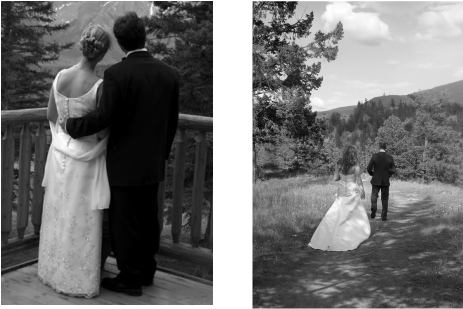 The natural beauty of Jasper National Park is the perfect setting for weddings. Weddings can take place in the beautiful sanctuary of Jasper United Church, or they may take place in other outdoor or indoor locations. Weddings at Jasper United Church will normally be officiated by the incumbent Minister but arrangements can be made for another United Church Minister to do so (and use our register). please contact our church office at 780-852-4334 or email us at jasperuc@telus.net.